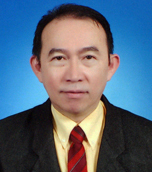 Cheepsattayakorn graduated Doctor of Medicine from Chiang Mai Medical School, Chiang Mai University, Chiang Mai, Thailand in 1986. He then further had trained in Internal Medicine, Radiology, General Practice, Family Medicine, and Preventive Medicine at Chiang Mai University Medical School. He certified numerous Fellowships from the Royal Colleges of Physicians of London, Edinburgh and Thailand, Royal College of Physicians and Surgeons of Glasgow, American College of Physicians, and American College of Chest Physicians. 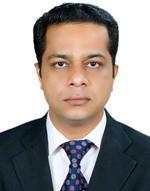 Presently, he serves both Editor and Editorial Board Member and also referee of several international journals. 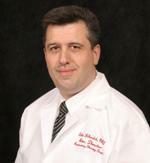 He has very high experience in the fields of Pulmonary Diseases and Tuberculosis including Infectious Diseases. 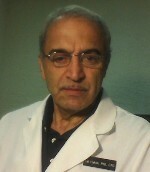 He has numerous scientific publications both in national and international journals and books.Recently, he published scientific papers, entitled Parasitic Pneumonia and Lung Involvement , Lung Cancer Chemotherapy, New Treatment and Related Patents, Breath Tests in Respiratory and Critical Care Medicine : From Research to Practice in Current Perspectives, Novel Avian Flu A (H7N9) : Clinical and Epidemiological Aspects, and Management, and Novel Avian Flu A (H7N9) Epidemic : A China's Lesson Learned (Editorial), and textbook chapters, entitled Management of TB in HIV Subjects : The Experience in Thailand, Multidrug-Resistant Tuberculosis-Diagnosis, Treatment, Management, and Control, and Influence of Human Leukocyte Antigen on Susceptibility of Tropical Pulmonary Infectious Diseases. He had been served a Director of the 10th Zonal Tuberculosis and Chest Diseases Center, Chiang Mai, Thailand for a long time and presently serve as Consultant in Respiratory Medicine (Pulmonologist) at the 10th Zonal Tuberculosis and Chest Diseases Center, Chiang Mai, Thailand; Deputy Director and a Senior Expert of the 10th Office of Disease Prevention and Control, Chiang Mai, Thailand, Department of Disease Control, Ministry of Public Health, Thailand. Nontuberculous mycobacterial infection in HIV-infected patients, Multidrug-resistant tuberculosis patterns in HIV-infected patients, Chemokine gene polymorphisms and theirsusceptibility to tuberculosis, Breath Tests in Respiratory and Critical Care Medicine,Tropical Infectious Diseases, Human Genetics and Infectious Diseases, Lung Cancer, COPD, Dengue Virus Infection.